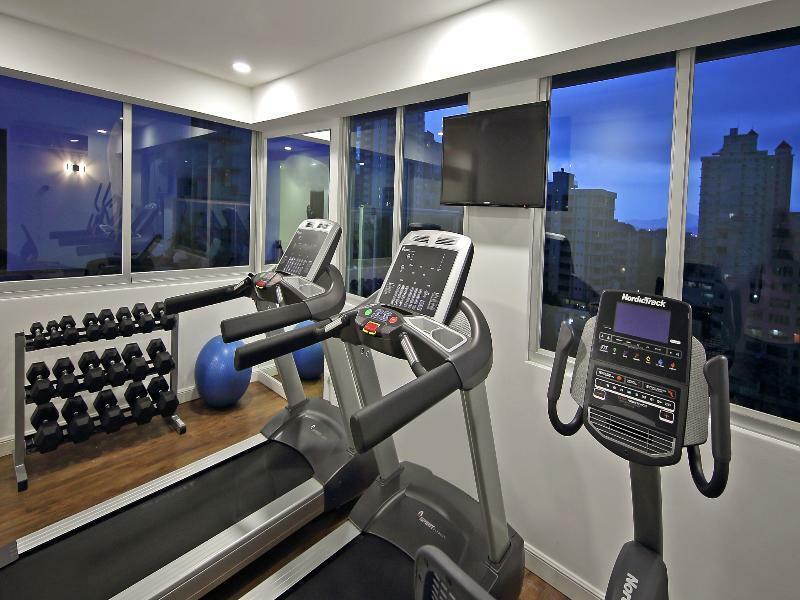 Featuring an outdoor swimming pool, fitness center and free WiFi, Ramada by Wyndham Panama Centro Via Argentina is located in Panama City, 5 miles from Ancon Hill and 5 miles from Rod Carew National Stadium. 9 miles from Bridge of the Americas and 2.1 miles from Metropolitan National Park, the property has a terrace and a bar. The property provides a 24-hour front desk and a business center for guests. At the hotel, each room has a desk. The rooms are equipped with a flat-screen TV with cable channels. A continental breakfast is served every morning at the property. Guests can dine in the in-house restaurant, which specializes in International cuisine. Canal Museum of Panama is 3.2 miles from Ramada Panama Centro Via Argentina. The nearest airport is Tocumen International Airport, 18 miles from the accommodation.